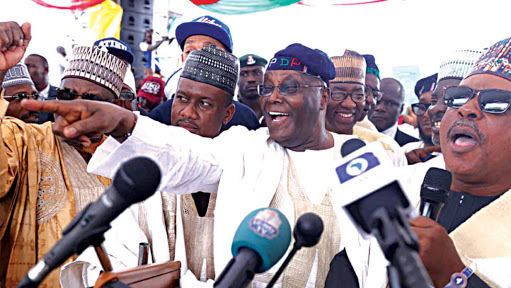 Former Vice President Atiku Abubakar on Sunday won the presidential primary of the Peoples Democratic Party (PDP) to the surprise of some political observers who had thought Aminu Tambuwal, with the backing of PDP strong man, Governor Nyesom Wike, will get it. Atiku has emerged, moves for a competent running mate started. But how was he able to defeat Wike's alleged plot? First, investigations showed that the search might have been limited to the South-East region of the country. He got a lot of votes from the Igbos and also from Bayelsa state. His closest rival, Governor Aminu Tambuwal of Sokoto State scored 693 votes, while the President of the Senate, Bukola Saraki, came third with 317 votes. One of the delegates, who spoke to The Punch on condition of anonymity, said Tambuwal’s closeness to some governors in the zone was what prevented Abubakar from recording a clean sweep of the votes of the South-East delegates.